On arriving at Hervás, head directly for its Jewish Quarter, declared a Historical-Artistic Site in 1969. This is a neighbourhood settled by Jews who came to the town in the 15th century, and one on which they left their indelible mark on its streets and buildings. It is one of the best preserved Jewish Quarters in the country. What's more, there you will find the narrowest street in Spain. It is barely a metre and a half and it is called Travesía del Moral. Its granite, sun-dried brick and chestnut wood buildings - typical local materials - endow Hervás with a matchless beauty. Likewise, traces of this Jewish presence are also to be found in the local fiestas and cuisine. The town's most famous fiesta is that of "Los Conversos" (The Converts), in which a work of theatre especially commissioned for that day is staged by the river. The sweet soup and the "nuégados" (nut cake), also Jewish in origin, stand alongside other local dishes in the town's restaurants, such as the "zorongollos" (red pepper and onion salad), suckling pig and the "consagrada cazuela" (casserole dish), all of which can be washed down with any one of the marvellous local wines. If it's a quick snack you're after you can try the local cured meats, hams and spicy potato or pumpkin blood sausage. The Church of Santa María and the Church of San Juan Bautista are just two of the architectural gems not to be missed on your visit to the town. The former was originally a Templar castle bastion. Given the fact that it stands at the highest point of Hervás, it provides beautiful scenic views of the mountains, the southern valley and the town itself. 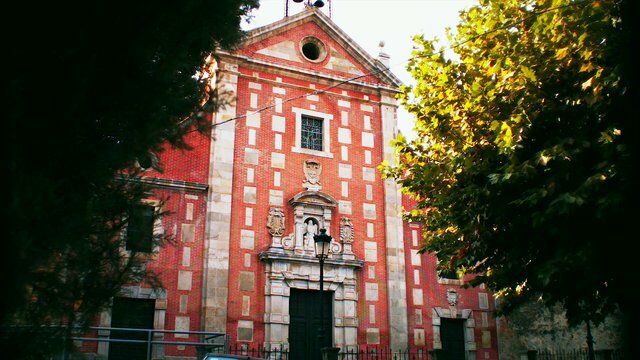 Originally built as the Convent of the Padres Trinitarios, is now the Church of San Juan Bautista. Take a few minutes out to enjoy its unique, post-Herrera style façade. In the old Franciscan hospital, currently the town hall, and in the 18th-century palace, the Palacio de los Dávila, there is a quiet and undisturbed museum that houses a large part of the sculpture work and paintings of the couple, Enrique Pérez Comendador and Magdalena Leroux. The palace's garden is another good reason to visit this unique space. If you ask Hervás locals for any special spot in their town, in all likelihood they will send you to the Ermita del Cristo de la Salud chapel, the Puente del Pedregoso bridge or the Puente medieval de la Fuente Chiquita Medieval bridge. Wherever you go, the town's chestnut groves will not be far from view, fairytale woods at the feet of the Béjar mountain range, reminiscent of similar ones in northern Spain.